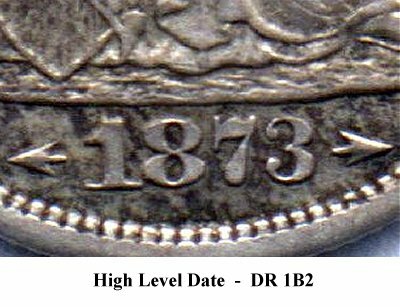 Comments: On Obverse 2, repunching is visible above the left and right bases of the 1 digit. 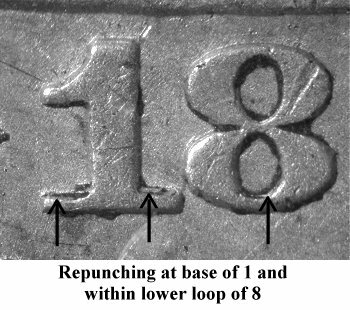 Traces of repunching can be found within the lower loop of the 8 digit. The repunching within the 8 digit disappears with die wear. 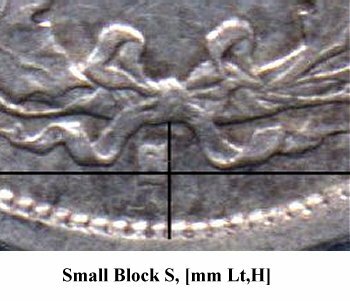 Reverse B has a small block S mintmark which is a different style mintmark than used on Reverse A. 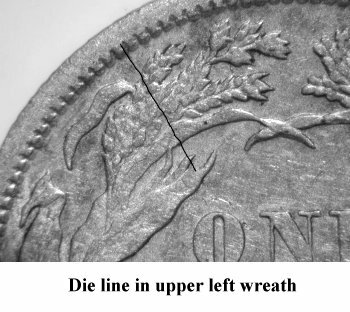 A long diagonal die line is typically seen from the rim down through the upper left wreath. 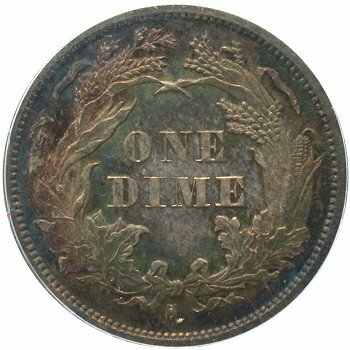 At first, this die line appears to be a hairline scratch. 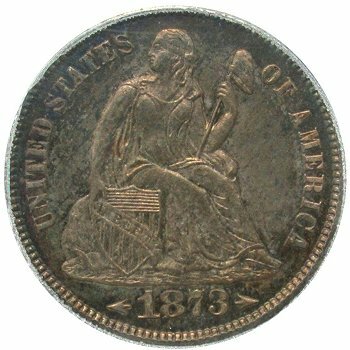 However, close examination revealed it to be a depression or scratch within the reverse die.